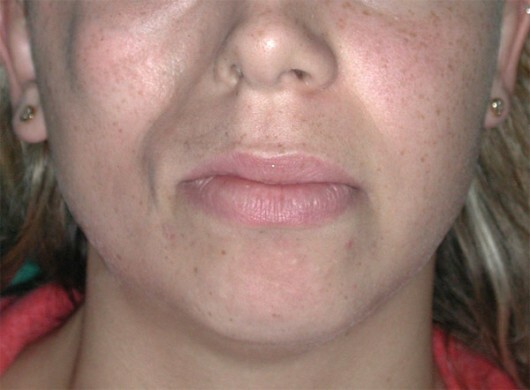 Reconstructive surgery of the mouth and the face is particularly delicate and refined because of important functional (vision, chewing, speech and swallowing) and aesthetic targets (facial contours). The basic principle consists of applying the simplest and least burdensome method to achieve the best result. 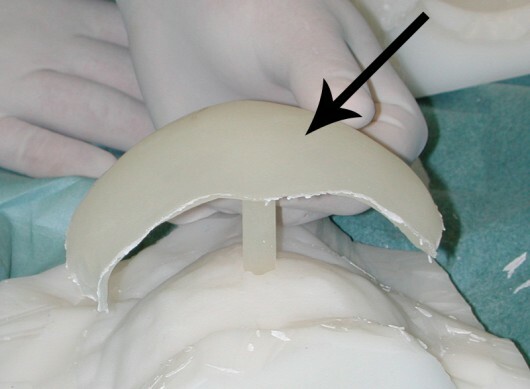 This is possible for minor defects through the use of grafts and local flaps (portions of bone, muscle, skin, and nerves, transposed to repair the defect). 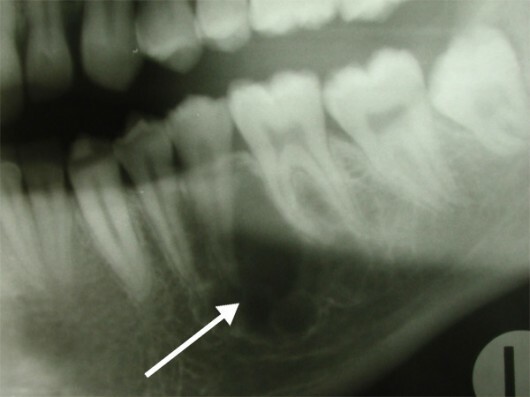 However, there are cases in which in large portions of oral cavity and face tissues are lost, mainly due to oncological damage. Traditional remedies, such as grafts and local flaps, are not readily applicable for such patients because they are typically insufficient to reach a good result. The same is true if special tissues are needed to correct particular clinical situations, such as facial paralysis or rare diseases. 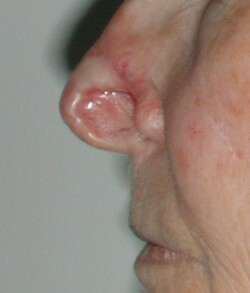 In those cases, reconstructive microsurgery can provide an appropriate tool, allowing large quantities, or a particular quality, of tissue from other parts of the body, and placing the tissue where it is needed by working at high magnification on structures not otherwise visible with the naked eye. Thus, pieces of fibula or iliac crest along with the arteries and veins that nourish them can be used to reconstruct the maxilla, the mandible, and other facial bones. 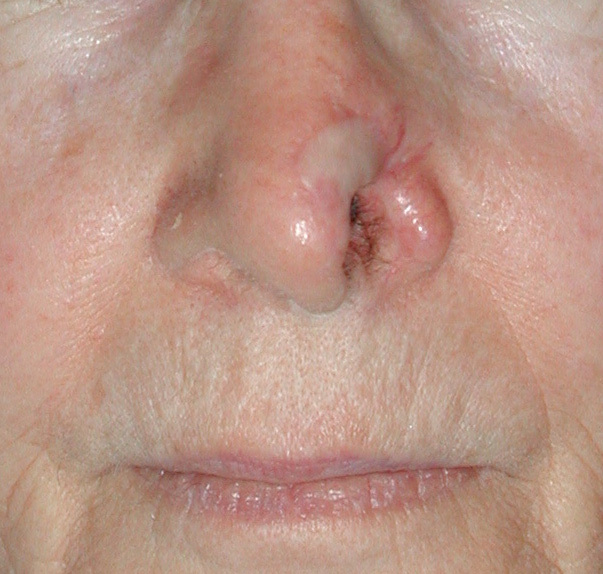 Appropriate tiny vessels transferred together with the flaps can be connected microsurgically (anastomosed) to the face (or neck) arteries and veins to ensure the viability of the reconstruction. 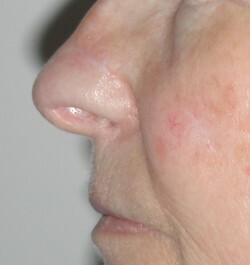 This technique changes the reconstructive options enormously because limitations due to transposing only adjacent tissues can be overcome. For example, anterolateral thigh or forearm tissues may be used to reconstruct the tongue, the floor of the mouth, and the palate. 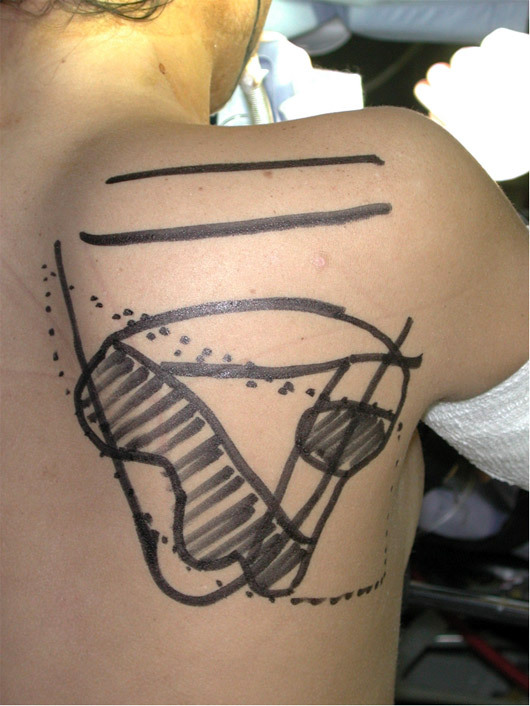 The rectus and latissimus dorsi muscles may be used to cover large defects. 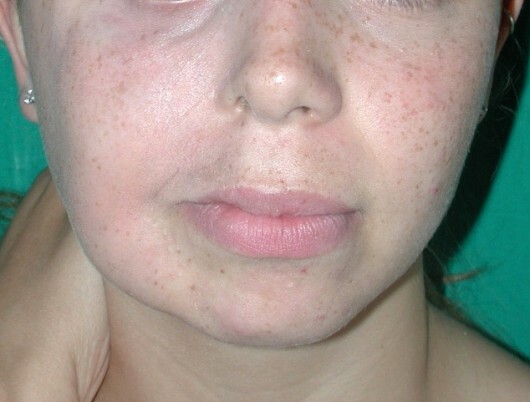 The gracilis, latissimus dorsi, and pectoralis minor muscles may be transposed to correct facial paralysis. If a nerve is ruined, microsurgery can allow repairing or replacing it with part of a nerve having a less important function. Patient missing the left nasal ala because of oncological surgery, performed without reconstruction. 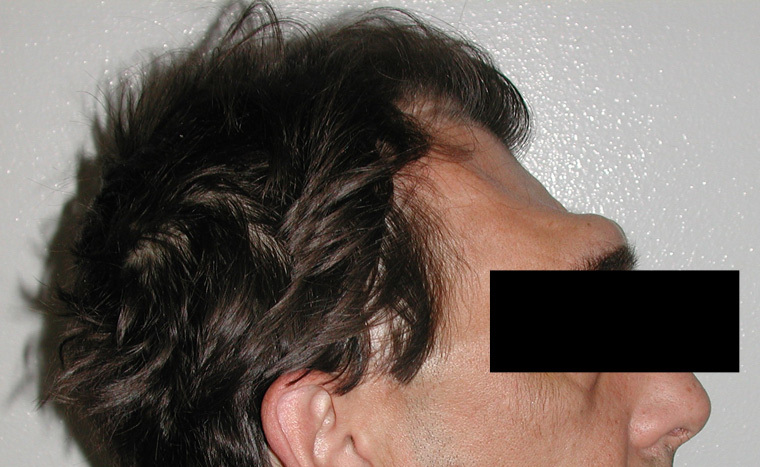 The use of a properly shaped forehead flap plus a graft of ear cartilage allowed recreation of the missing part. Patient with extensive loss of the skull, next to a neurosurgical intervention, leading to aesthetic and brain coverage problems. 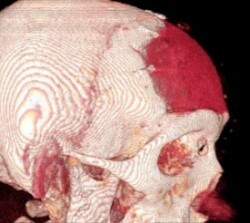 Stereolithographic reconstruction of the skull after a CT scan allowed a better assessment of the frontal bone defect. 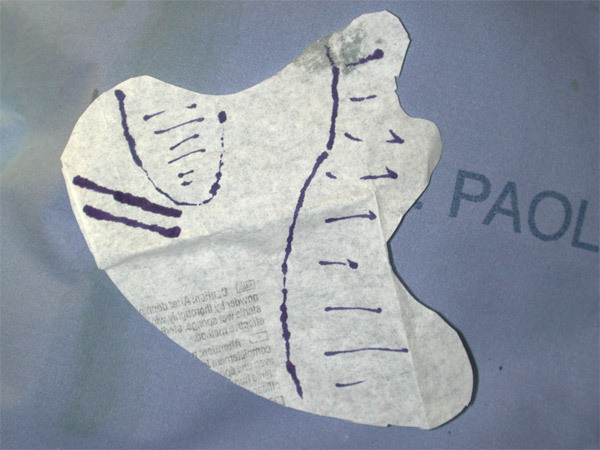 Transposition of a microvascular forearm flap allowed the creation of ideal conditions for the reconstruction. 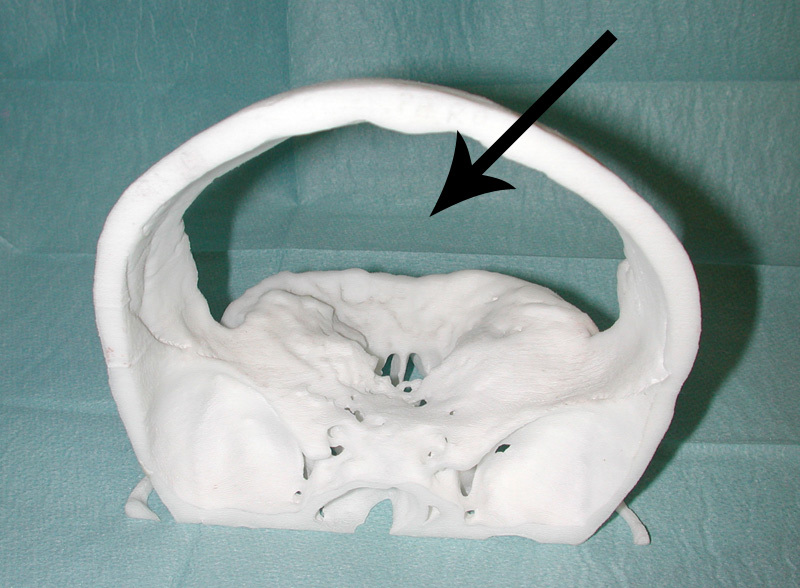 New technologies allow recreation of the missing portion of the skull with alloplastic material, based on CT scan images. Post-operative three-dimensional CT scan highlighting the precise reconstruction of the skeleton. Post-operative CT scan three-dimensional image. 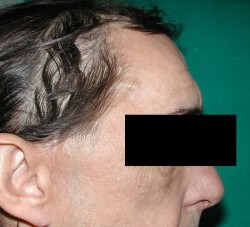 Patient’s appearance 1 month after surgery. Mandible bone requiring reconstruction at the end of bone removal. 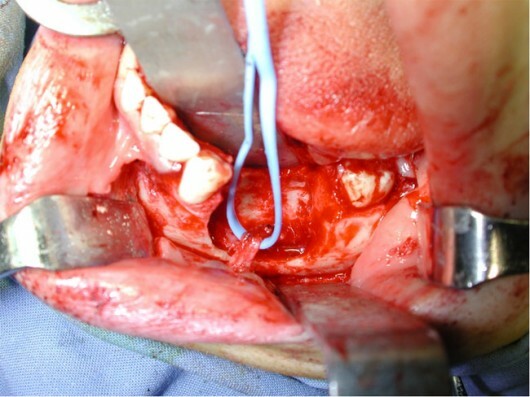 The blue ribbon holds the lower alveolar nerve, properly spared from oncological resection. 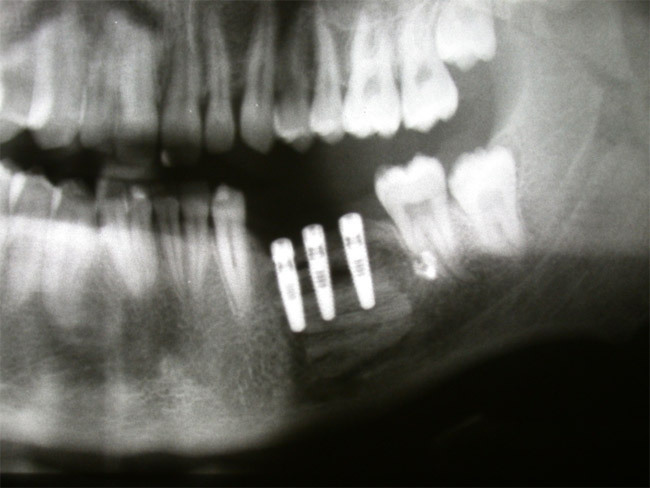 Panorex X-ray: three implants inserted into the grafted bone for prosthetic rehabilitation. 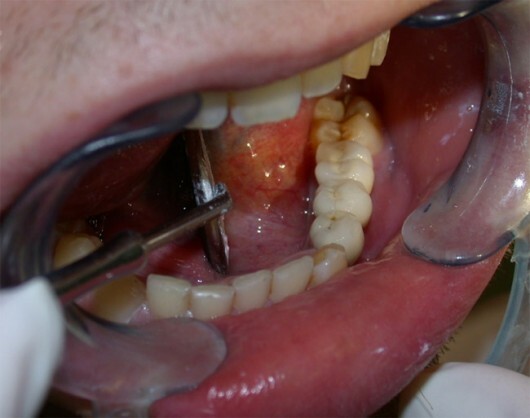 Lower dental arch at the end of the prosthetic rehabilitation. Patient with Parry-Romberg syndrome (hemifacial atrophy), resulting in serious asymmetry of the two halves of the face. The sketch was drawn on sterile paper. 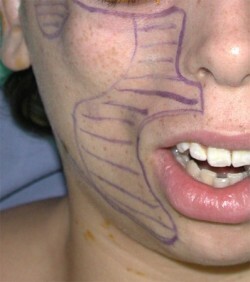 Transposition of the sketch on the parascapular area allowed harvesting of a microvascular flap that would naturally fill the various atrophic areas of the face. 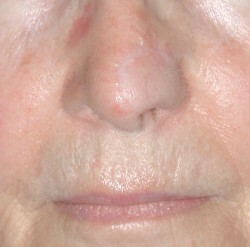 Good symmetry of face 2 years after surgery.